Serves 21 million households with consumer banking relationships. Services 7 million mortgage and home equity loans. Offers investment products and solutions to more than 1.6 million customers. Provides more than $50.3 billion in financing and lending to metropolitan-area governments and non-profits across the country. 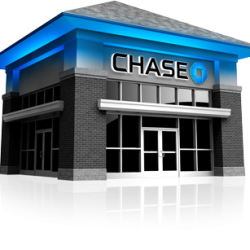 With such a broad range of businesses, our mission at Chase is quite simple: to be the industry leader in customer service. And we have more than 160,000 employees across the world to help us achieve it.